Comparing groups is a fundamental activity in statistics since it includes many basic concepts like center, variability, and representation and can pave the way to inferential statistics. Preliminary work involving group comparisons can be undertaken at an early age, e.g., at primary school using proto-concepts like modal clumps, precursor representations like hatplots, or formal concepts like medians. We have designed and implemented a teaching unit using modal clumps, medians, and hatplots to guide primary school students (grade 4, aged 10–11) to compare groups with TinkerPlots. Consequently, a case study with six of these primary school students was conducted to investigate how our primary school students compare groups in large authentic data sets using TinkerPlots. 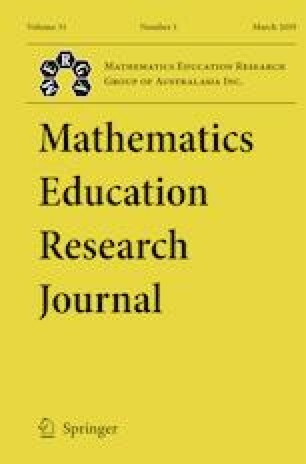 One finding is that all six primary school students make sophisticated use of modal clumps, medians, and hatplots to compare groups in large and authentic data with TinkerPlots. I am very grateful to Cliff Konold for very helpful and constructive comments and feedback on this manuscript. Furthermore, I am very grateful to Rebecca Breker and Christina Schäfers who have been collaborators on the design and the implementation of the instructional unit on group comparisons. Many thanks also to the three anonymous reviewers who provided helpful feedback and suggestions on previous versions of this article. Jungwirth, H. (2005). Interpretative Mathematikdidaktik: methodisches und methodologisches am Beispiel von Normen im Mathematikunterricht. Retrieved from:http://psydok.sulb.uni-saarland.de/volltexte/2005/449/pdf/jungwirth.pdf. Accessed 5 Sept 2018.